So you’re thinking about exhibiting at a trade show. Preparing for the event isn’t as simple as picking out a nice, shiny pen. You already know that trade shows create the best opportunity to obtain a face-to-face with a large number of your target market in a short period of time. That’s why you’ve done your due diligence to find the right fit for prospective clients. You’re investing your time and marketing budget on a big event with the expectation of generating inquiries and leads for future business. In order to get the best return on investment, you’ll need for your business to stand out from the competition. You need a cost effective way to drive attendees to your booth, get them to stay long enough for you to engage with them, and prove the value of doing business with you. Trade shows can be one of the most complicated forms of marketing by encompassing every sales and marketing tool available. From pre-show promotions and booth show strategy to follow up after the show you need to stand out from the other companies at a show. You need to grab the prospect’s attention at least 10 feet before they get to your booth. The entire goal of your booth is to get them to stop and interact with you. Your booth should tell the attendees who you are and what you provide at a glance. Your booth reflects your company. Have fun with it, develop a theme perhaps and enjoy the experience but allow branding to all tie into your company. Table covers and retractable banners are a must. High color graphics can tell a story about your brand. A shirt branded with your logo for each person manning the space is another smart investment. Our company, Brilliant Marketing Ideas, can help you with all of these. Once you have the look of your exhibit space covered, it’s time to work on your promotion. Something for your visitors to remember you by – other than your professional demeanor and dazzling expertise! With so many creative options out there, it’s time to become memorable. Pre-show promotions are popular. Mailing something attendees can bring to your booth to fulfill can be effective and give them a preview of your booth theme or style. If there is not access to a pre-conference list, there are many other ways to gain attention before attendees even reach the exhibit hall. Think about product enclosures into the conference bags, or floor graphics that lead people to your booth. Yeah, yeah. We all know this, but it’s easy to get wrapped up in a cool idea and forget the limits of your budget. Put on your blinders. If you need to find the perfect giveaway, it won’t do any good to shop $5 items with a $2 budget. Our website has an option of searching for items within a specified price range. You can even search for products or a category of items, like mobile tech, and request a specific price range. It’s a great tool for tailoring the field of ideas to fit your needs. And contact us for additional ways to get creative. with the same number on their button, they can come to the booth to win a prize. Now you have attendees wearing your button and looking at that button on others throughout the conference. Attracting a Millennial to your booth may take a different approach than a Baby Boomer or a Gen Xer. For example, you might be surprised to find out that Baby Boomers are more concerned about the environment than Millennials (Jean Twenge, PhD, “Generation Me”). Or that men are more likely than women to own a branded USB drive (ASI 2016 Global Impressions Study). By better knowing your prospective clients, you can design your marketing efforts to pull them in. Make sure the giveaway is useful. Attractive, enjoyable, and directly related to the service or product you offer – these are all important qualities to consider when choosing the right giveaway for your next trade show. However, topping the list should be useful. 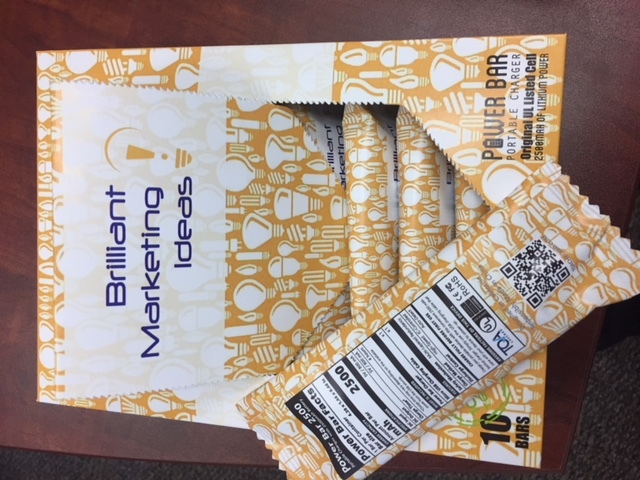 According to the ASI 2016 Global Impressions Study, 77% of people said they would keep a promotional item that was useful to them. So if you want that handy little giveaway to stick around, make it useful. · Lip Balm. Simple and small with a big imprint area for your message. 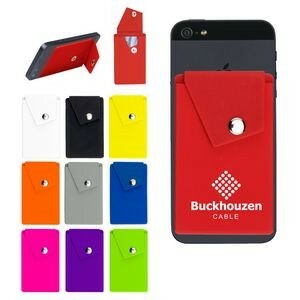 Attendees will use it while attending the trade show and they’ll drop it into their purse or bag for later use. Every time they use it, they’ll see your brand. Put your name on their lips! Tie the product into “giving them some lip about your services”. Do you know lip balm can come in over 100 different flavors? Play a game in the booth for them to guess the flavor of the lip balm. If the conference is tied into a theme, maybe the lip balm can be a part of that theme. Again, several choices can be found here, here and here. 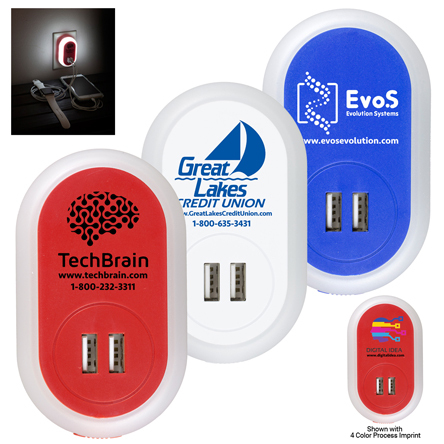 · USB Wall Plugs.Another mobile device item that ticks all the marks. This will be used on the road, at the office and at home. Useful, useful..
· Jar Grippers. If you want a useful, inexpensive but varied product, the good old-fashioned jar gripper might be a good one. The price is right, it comes in a lot of shapes, has a great imprint area and lends itself to some great interaction. How about guessing the various uses for the product? We know it can open jars and loosen up so many things like hoses and lightbulbs. What about putting it under your rug to keep it from slipping? I think the best use I have ever heard is putting it between your baby’s diaper and the high chair to keep the baby from slipping out. Hold a contest for the best idea, it is amazing how creative people can get and it can be a great conversation piece. 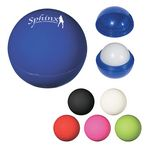 Jar grippers come in so many colors and shapes that you can tie them into many different, fun promotions, while offering a product that people will keep for many years. Find some choices here. these handy, they will remember you for a very long time. Fun packaging to have food for your phone! 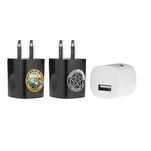 Power Banks in Power Bar Packaging. For more ideas check these out. And Yes, the wireless chargers are here! · Bags. These certainly have become a popular item over the past few years with all the bag bans happening throughout our country. The advantages of bags is that they are a walking billboard for your company. The better the bag, the longer the recipient will hang onto it. 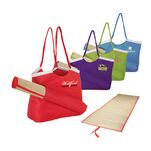 There are so many price ranges for bags, starting with the non-woven reusable bags in a variety of colors, shapes and sizes and moving up to various materials, designs and qualities to upscale computer bags, backpacks or briefcases. There is a price point for all uses. We’ve got tons of great choices in this category, here are six examples: 1, 2, 3, 4, 5, 6. · Multi-Function Pens. Okay, these are pens, but what makes them special is they are multi-purpose. A pen that doubles as a phone stand, a light, a stylus, even a flashdrive is unique and memorable and more likely to have staying power. But even the basic pen can be a useful tool. The average cost per impression for writing instruments is 1/10th of one cent (Advertising Specialty Institute). At that price it is one of the most economical investments for promoting your brand. Remember, the most important characteristic of a good trade show giveaway – useful. Pens definitely check that box. 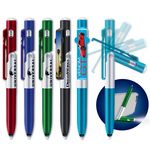 There are lots of pens to consider, find these examples here, here and here. Of course, don’t forget the most important elements of the show can be what happens AFTERWARDS. Following up. If you prepare your follow-up BEFORE the show it makes things a lot easier in the end. Did you know the best timing for follow-up is no earlier than 48 hours after the show and no later than 48 hours after that? Think of it as your 48-hour window of opportunity. During this window, your message won’t be buried when attendees return to their offices and it won’t be too late to remember you. More important is the impression it makes upon their return. 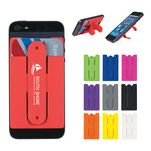 And need we remind you that adding a promotional product to any mailing can increase that response rate substantially? Of course we can help you find the perfect product for that effort. Don’t forget to take good notes, measure your return on investment and see how your efforts pay off in relation to your other shows or other marketing activities. In the end, selecting a successful trade show giveaway comes down to finding the right balance between fitting into your promotion, being useful, unique and attractive. To find your perfect match, explore Brilliant Marketing Ideas’ trade show showroom or contact us for a marketing consultation. We can help make your next event successful. ABOUT LINDA Linda is the Marketing and Client Services Director for Brilliant Marketing Ideas, Inc., specializing in promotional products and the best use of the advertising medium. In addition to spending the past 17 years consulting businesses from start-ups to Fortune 500 companies, she previously worked on the client side of the business running various divisions of a large Bank. She believes her client’s success is her success. She loves to create new ideas and welcomes the opportunity to meet with her clients to help them stand out from their competition.